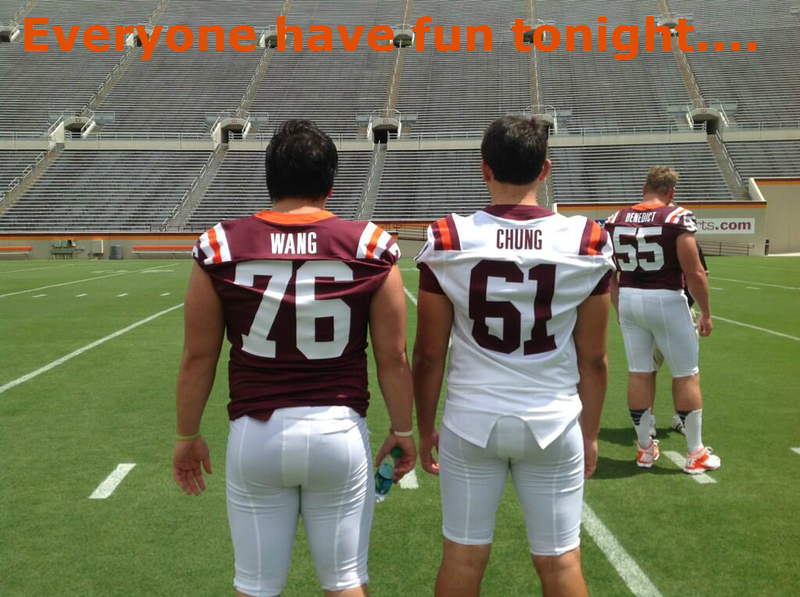 David Wang is a offensive lineman with Virginia Tech, who started at left guard. Kyle Chung is the son of former Hokies lineman and New England Patriots first round pick Eugene Chung. That combination has provided this memorable photo sent out by Virginia Tech for I, you, and everyone one we knew. It is also a reminder that everyone should be having fun tonight. We will have to keep an eye on the rotation, to see if injuries move freshman Chung into the lineup, and give us a Wang Chung moment.